Special KRL coupon code at the end of this article. Swindley, the originator of the popular Always. . .Patsy Cline, has created another musical filled with familiar, toe-tapping favorites. 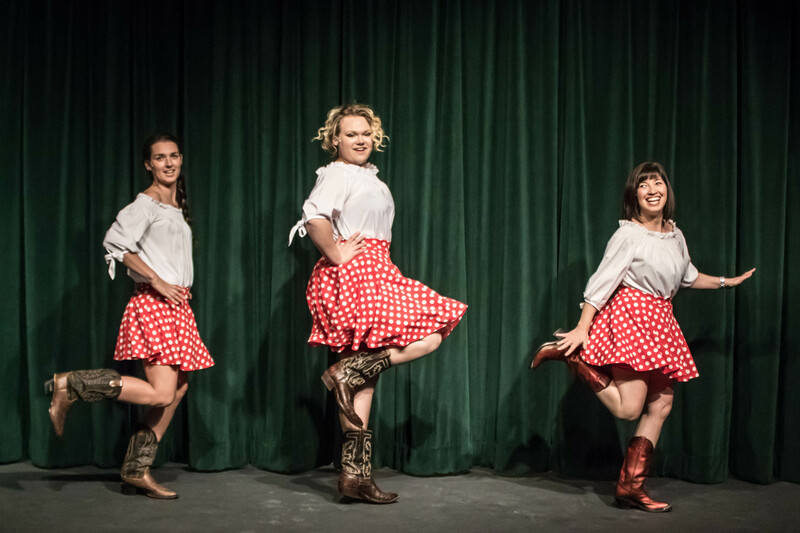 Visalia Players’ Director Leeni Mitchell once again brings to local audiences a crowd pleaser filled with Country Western classics. 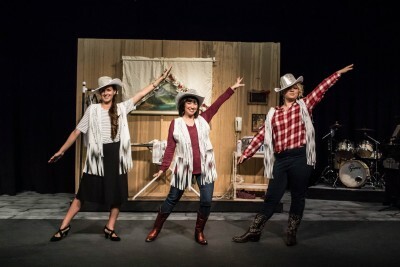 Honky Tonk Angels is the story of two young girls and an older woman who are brought together by chance on their way to seek their fortunes in Nashville. Mitchell notes, “They form a nice relationship. 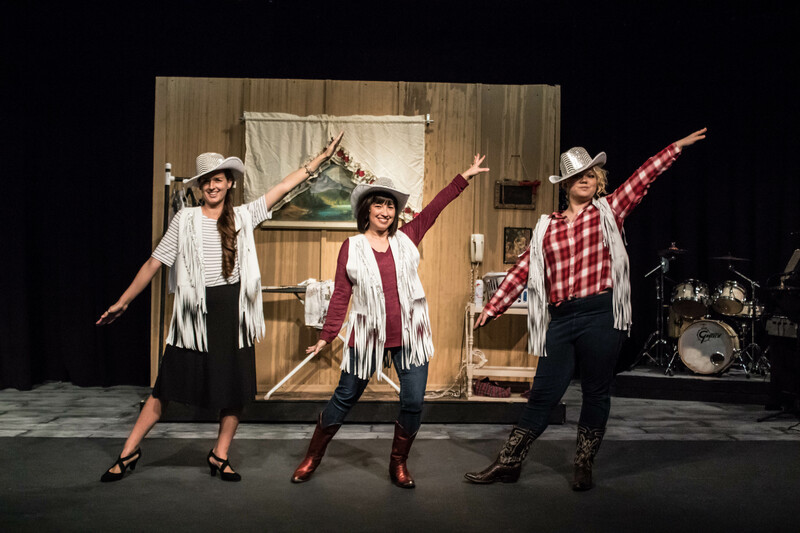 Sue Ellen is estranged from her mother; Darlene has lost her mother; and Angela becomes Mother Earth to both.” To embody these roles, Mitchell brings together three actors new to musical theatre at the Ice House. Angela, Mother Earth as described by Mitchell, is the role performed by Jenifer Bellin. Bellin’s first appearance at the Ice House was in Nanny’s Naughty Nickers. Now she has the opportunity to showcase her solo singing voice. Bellin was concerned about being a country person, but her vocalization of “Stand by Your Man” belies those fears. Co-musical Directors Brent Iden and Gail Conn are enjoying collaborating. When they were brought together as co-musical directors for Boys of Broadway, it was a great reunion. They had worked closely at Visalia Unified School District thirty years earlier. Now their relationship is solidified, and their competence and confidence in their craft are clearly displayed on stage. 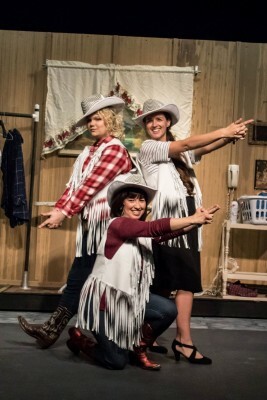 Honky Tonk Angels opens at the Ice House Theatre at Race and Santa Fe in Visalia at 7:30 p.m. on Friday, March 22, 2019 and runs for four weekends with evening performances at 7:30 p.m. on 3/22, 3/23, 3/29, 3/30, 4/5, 4/6, 4/12, and 4/13, and matinees at 2 p.m. on 3/24, 3/31, 4/7, and 4/14. For more information about the Visalia Community Players and to purchase tickets, check out their website and KRL’s article about VCP. Tickets may also be purchased by calling 734-3900. For details about local arts groups in Tulare County, visit the Visalia Arts Consortium website. Check out even more local theatre reviews & articles in our Arts & Entertainment section! To purchase two tickets for the price of one, enter KRLHTA in the Have a code? box on the Buy/Redeem Tickets Reservation page via the Players website. If you love local theatre, be sure to check out our new Mysteryrat’s Maze Podcast, which features mysteries read by local actors. The first 17 episodes are now up! You can check the podcast out on iTunes and Google Play, and also on podbean. Nancy Holley has been involved in the Visalia Community Players off and on since the 1970s, both as a director and actor. In 2010, she retired from 25 years as a software consultant and has since expanded her role at the Players. She is now Membership Chairman and assists with the Players on-line ticketing system.